Sherborne is one of Dorset's most prettiest towns, nestling peacefully in a rich green valley, lined by wooded hillsides. The town is crammed with timber framed and golden ham stone buildings, including a 12th-c Abbey, delightful 15th-c almshouses, two castles and a fine local history museum. The town is best known, however, for its public school, which incorporates several of the old abbey buildings. The school has been used as the location for several major films, the most notable of which was "Goodbye, Mr Chips" in 1969. The classic Thomas Hardy novel "Far from the Madding Crowd" was also filmed in the town. 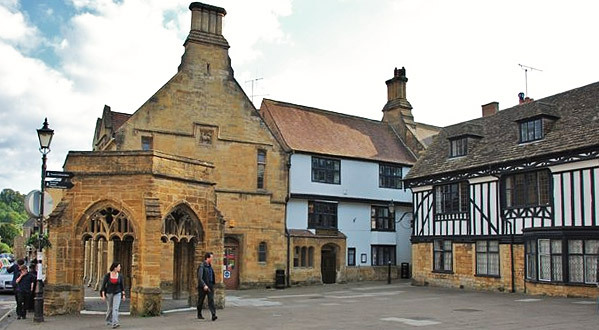 A film locations leaflet is available from the tourist information centre along with the Sherborne Visitor Guide, which is a must read for those interested in discovering the history and heritage of this picturesque little town. The central thoroughfare is called Cheap Street, although there is nothing cheap looking about it. 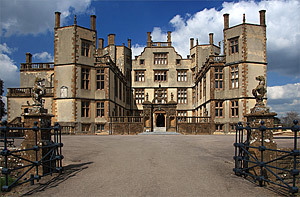 It is lined with fine Georgian and Victorian frontages, which mask much older medieval buildings. Visitors with penchant for shopping will not be disappointed as the town boasts a thriving cultural centre with many delightful specialist shops, selling handcrafted goods, and a selection of elegant fashion boutiques. There are also many fine art and antique shops and a busy street market on a Saturday and Thursday, with a Farmers market held regularly on a Friday. Sir Walter Raleigh's 16th-c extravaganza (circa 1594) is one of the greatest Stately Homes in Dorset, lavishly furnished and set in beautiful grounds landscaped by Capability Brown. The castle is also the ancestral home of the Digby family, the most famous of whom was Robert Digby, commander in chief of the British Fleet in 1781. Small independent museum of geological, natural history and archaeological. 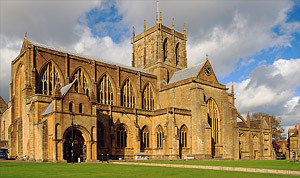 On permanent display are items pertaining to Sherborne Abbey and Almshouse. The Marsden Room has displays on Sherborne’s silk and the area's glove making industries. One of the the finest architectural buildings in Dorset. 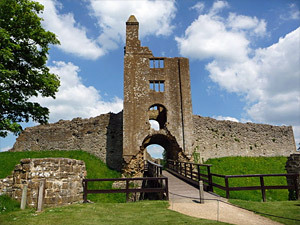 The current structure was built between the 12th and the 15th centuries. 'Great Tom', a tenor bell given by Cardinal Wolsey, hangs in the central tower. The interior is magnificent, with exquisite fan vaulting and extravagant decor, giving it all the splendour and dignity of a cathedral (which it actually was in Saxon times).